The development and the subsequent maintenance of infrastructure are equally important. Track inspection techniques and systems play an important role in these processes. There are currently a range of track inspection systems, however automated systems are only accessible for large railway administrators such as Adif or FGC on a large scale. Other administrators with fewer resources base their inspections on a series of manual systems, making it necessary to run several inspections to collect all the data required for analysis. There are many measurement systems for rail inspection on the market, but they all focus on measuring specific characteristics, excluding all others; they either measure geometric parameters, or rail profile, or rail corrugation, etc. With SADA, we have achieved a single system that measures all the parameters characterising rail condition. 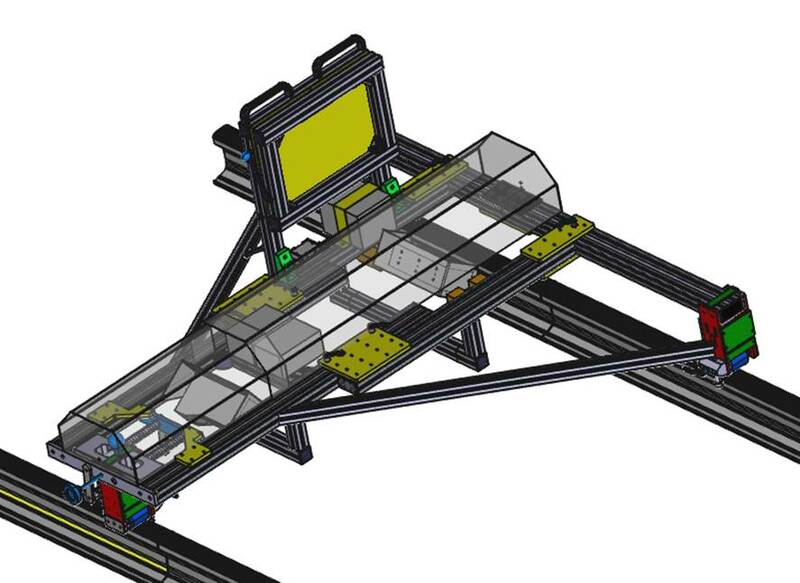 SADA, developed by Ineco in 2013, is the first and only manual track geometry inspection system that allows analysis both of geometric parameters (track gauge, longitudinal levelling, alignment, transverse levelling, cant and warp) and wear to the rail profile, all in a single pass. It guarantees correct track geometry and rail condition, improving traffic safety for railway systems that are in use (early detection of issues), and the proper completion and acceptance of track superstructure in construction. This simple, reliable, accurate and autonomous system makes it possible to obtain rail profile data in a single pass. Through post-processing, data can subsequently be obtained both on geometric parameters and on surface defects and wear. In addition to using a single inspection system to analyse infrastructure with a single pass, the aim is to improve early detection of irregularities and to achieve significant reductions in the cost of track inspection. The SADA system guarantees the correct track geometry and rail condition, increasing traffic safety in railway systems that are in use. It also offers the proper completion and acceptance of track superstructure under construction. There are many measurement systems for rail inspection on the market, but they all focus on measuring specific characteristics, excluding all others. The aim of SADA is to provide a single system that measures all the parameters that characterise rail condition. This technological advance is mainly intended for conventional and metropolitan lines and for resolving specific problems in a given area. It complies with all requirements of European standard EN 13848.